Pop quiz! If someone asked you to name a car that influenced most compact front-wheel drive cars on the road today, what would you say? First-generation VW Golf? Guess again. Citroen Traction Avant (heck, any postwar Citroen)? Not quite. Austin Mini? Almost, but no cigar. It was the Autobianchi Primula. Fiat used their Autobianchi brand to test out new technologies, and in this case, they tested the transverse-engine, front-wheel drive with the transmission above the differential instead of in the oil sump, as seen on Minis. It also featured unequal-length driveshafts, rack and pinion steering, and disc brakes on all four wheels. The Primula only got second place in the European Car of the Year competition, but Fiat went back with a similar powertrain layout in their 128 and got the top prize. 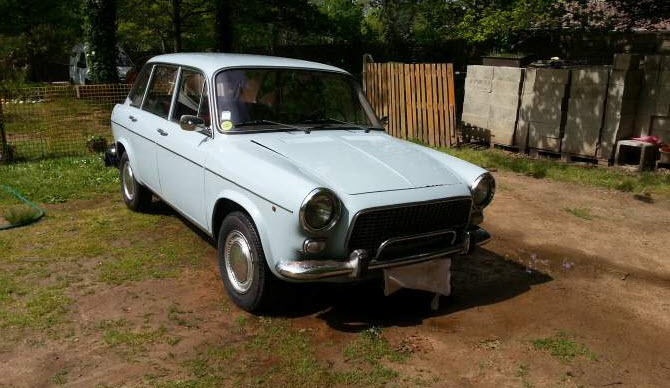 For your own automotive unsung hero, check out this 1967 Autobianchi Primula, for sale for €500 ($690 today) in Lucbardez-et-Bargues, southwestern France. The styling looks like a mashup of Austin 1100, 1960s Fiat, and 1960s Lancia styling cues. But those are all pretty good influences to have, and while the design is not terribly distinctive, it’s not unattractive by any means. With the 1221cc engine from the Fiat 1100D, its 61hp could get it to 60 in a then-respectable 15 seconds. The car also provided the suspension layout formula for most modern small cars – strut front suspension, and a rear beam axle. Yikes – there does appear to be a lot of surface corrosion here. Perhaps it would be more economical to pick one up that’s been redone or better-kept. The car does not come with its carte grise, which might make export difficult, and perhaps that explains the low price. 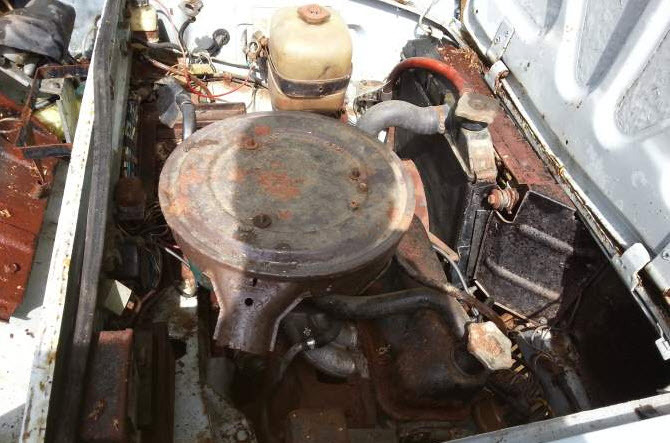 No other detail as to running condition is given, showing that one-liner car listings are not limited to Anglophone sellers. 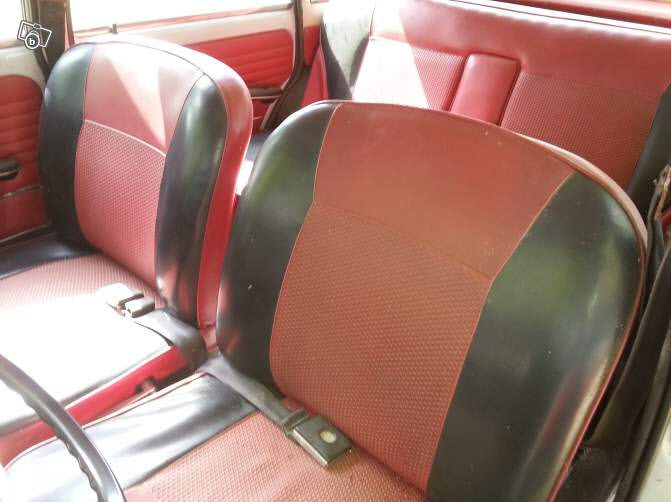 The interior almost looks rather sporting in red and black, although the actual shape of the seats suggests otherwise. While the Mini and BMC ADO16 cars were hugely influential on the design and layout of the modern car, you can’t have that discussion without also recognizing the significant influence this and its Fiat 128 cousin had on the cars most of us drive today. This entry was posted on April 29, 2014 at 3:24 pm and is filed under Feature. You can follow any responses to this entry through the RSS 2.0 feed. You can leave a response, or trackback from your own site.